Things haven’t been the same in Leap since Maura Donovan arrived last year. I mean that in a good way. She all but sneaked into the village, unsure of her welcome. 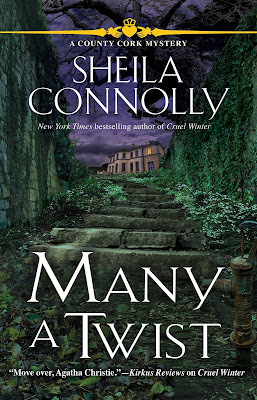 She’d never been to Ireland before, she’d just lost her grandmother, and she shows up and is told she has inherited a pub and a house, which was a complete surprise. I’m a bit older than she is, but I don’t have many friends around here, even though I grew up and went to school here. Why so few friends? For one, I’m an artist, and I’ve spent much of the last ten or twenty years in Dublin making paintings and earning barely enough to survive. I loved it, but my mother would have been happier if I’d stayed in West Cork and given her grandbabies. For another, I’ve been in love with Harry Townsend for as long as I can remember. We’ve been together on and off for years, but things kind of changed when I got pregnant last year. He was going through a rough patch then, because his nearest relative, his great-aunt Eveline, passed away. Since we were living with her in her home, the manor house on the harbor, things got a bit sticky, though Eveline had always been fond of me and hoped Harry would settle down. My mother and family were not exactly happy about the situation, and they stopped speaking to me altogether. That’s when Maura and I became fast friends. She let me hang out at her pub, Sullivan’s, and even helped me sell some of my paintings to passing tourists (and she still keeps a few pictures hanging in the pub). But it was when she helped me deliver the baby (in hospital, thanks goodness), and kept Harry from falling apart at the same time, that she sealed the deal. Because there were now three of us to think about, Harry scraped together what money he could and bought the old Creamery on Ballinlough, down the hill from Maura’s cottage. And then Maura rounded up her regulars at the pub and persuaded them (with the help of some Guinness) to help clear out the old building so Harry and I—plus little Henry—could start making it a home. artist's studio--or will be when we finish improving it! Maura may be a quiet one, but she has a good heart and she gets the job done. Maybe I should set her to work to win over my mother next. How fun that must have been to have see the Creamery fixed up and lived in. 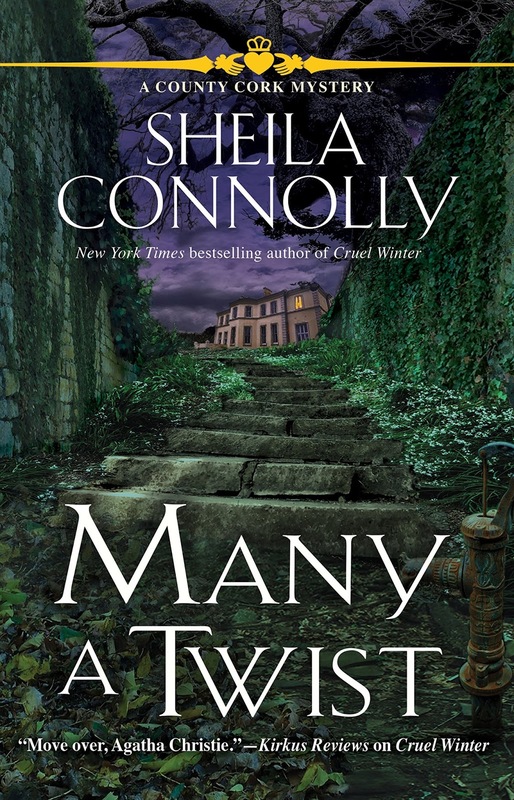 "Many a Twist" sounds very much like a book I'd love to read. I'm waiting for the Brooklyn AND Queens County library systems to both get off the proverbial stick and order the book. So until they get it in or I win a copy in a giveaway I will just enjoy hearing how other people think you are the greatest Irish Story author in the US. Ah, to watch the evolution! What fun. This is certainly on my TBR list. Any chance the new owners will let you see the changes they've made on the inside? That sounds so creative of a place to live. This series sounds quite interesting.